Pottstown, PA – Pottstown, PA – October 15, 2009 – Today’s retail environment can be tough on small, locally owned businesses. Lacking the arsenal of resources that bigger retailers have to ensure profitability, small retailers must rely on gut instinct and innovation to stay alive. That’s just what Diane Dietch of Pottstown, PA–based Diane’s Discount Pet Supplies and Adoption Center has managed. Dietch has accomplished what few small business owners can do – turn a passion into a business and then keep it alive for 20 years. The retail establishment on Route 100 employs 15 full- and part-time people. It has thrived despite the recent economic downturn and the opening of a national pet store just two miles away – without resorting to layoffs. “We have seen a slight drop in sales, so we really tightened control of expenses and thought of new ways to service our customers,” Dietch explains. Dietch started her business in 1989 when she was 24 years old, but she was already a veteran of the pet industry. “I started cleaning kennels when I was 12 years old. In high school I started working at a local pet shop where I really learned the trade,” says Dietch. It was there that Dietch honed her ability to connect with customers. That connection, and the pleasure she and her staff derive from connecting pets with owners, has helped ensure her business’s ongoing success while still looking after animals’ interests. It’s no wonder, then, that one offering Diane’s is best known for besides its fully stocked fish room and hand-raised birds is its pet adoption services. “In the past 20 years, we’ve adopted out just over 12,000 dogs, cats, puppies, and kittens,” Dietch adds. 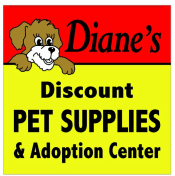 To encourage the spaying and neutering of these pets, Diane’s offers a $50 to $75 refund when the owner presents proof that the pet has been spayed or neutered. Now that Diane’s offers on-site spay/neuter services through the work of Dietch’s veterinarian husband Steven M. Silberman, DVM, the shop can better uphold its drive to help control animal population. “We can now take a proactive step to tackle an ongoing and under-addressed problem – the unfortunate destruction of cats and dogs due to pet overpopulation,” Dietch says. Dietch’s unwavering commitment to both animal interests and her customers has helped her business succeed and provide jobs in the local community. That’s reason to celebrate – which is exactly what Diane’s is doing on Saturday, October 24, 2009. Activities include a K-9 North Coventry Police Demo at 1:00 pm, an Exotic Animal Show at 2:00 pm, and Doggie Contests beginning at 3:00 pm for best costume, biggest dog, smallest dog, and best look-a-like. Other attractions include a canine mini-agility course, pet microchipping, face painting, and a bounce house for kids, as well as visits from an animal herbalist, a pet chiropractor, assorted vendors, and more. Food and beverages will also be available. To learn more visit www.ddpets.com or call 610.970.7500.